We love #womenwhoride and have joined forces with Fabienne Phillips, Founder of Girl Torque.cc to bring her unique services to the Illawarra. Fabienne offers personalised motorbike training, advice and support for women. When did you start motorcycling? I was fortunate enough to have a city and country upbringing. My first ride was on a 49.9cc peddle to start, French mobylettle that my mother inherited from my grandmother. I was around 12 years old, I distinctly remember riding it up and down our long gravel driveway and loving it. Opportunities came about now and then to paddock-bash on friend’s properties with bigger motorcycles. The greatest advantage being off road; it allowed me to focus on how to operate the bike and challenge myself as I got more confident. I still have the Mobylette to this day! In all its simplicity (now lovingly restored) it is a reminder of my childhood and family history. What drives your passion for riding? Throughout my bike riding journey, I’ve experienced many incredible places. Riding has opened up my world. You are always learning when you are riding a motorcycle and I have a passion to continue to learn and hone my skills. Training my students and assisting them in managing their risks and ultimately avoiding an accident gives me great satisfaction. There are many reasons I continue my passion, I love the empowerment, freedom, individualism and adrenalin that controlling a machine gifts. Most of all, I enjoy being in the moment. How did Girl Torque.cc begin? Interestingly, it was my own journey that prompted the founding of Girl Torque.cc. As a woman I felt I just wasn’t catered for. I wanted to be submersed in a male dominated industry, I felt discouraged and a little uncomfortable at times throughout the process. I started to identify a bit of a pattern and I thought to myself, how many other women are experiencing the same thing? After I got my L’s my partner stepped in to teach me. He taught me heaps and I’m so grateful but communicating was not easy at times and boy oh boy we had some arguments! 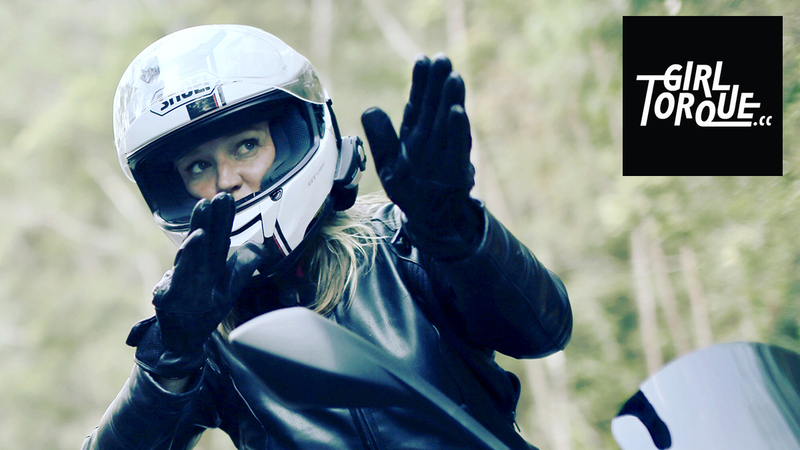 From that day, I was on a mission to create a business that I could transform the way female motorbike riders feel and act on the road through access to individually tailored rider training. I want to fuel women’s motorbike wanderlust, help them discover the perfect bike, equip them with the right gear and help find their unique on-road look. 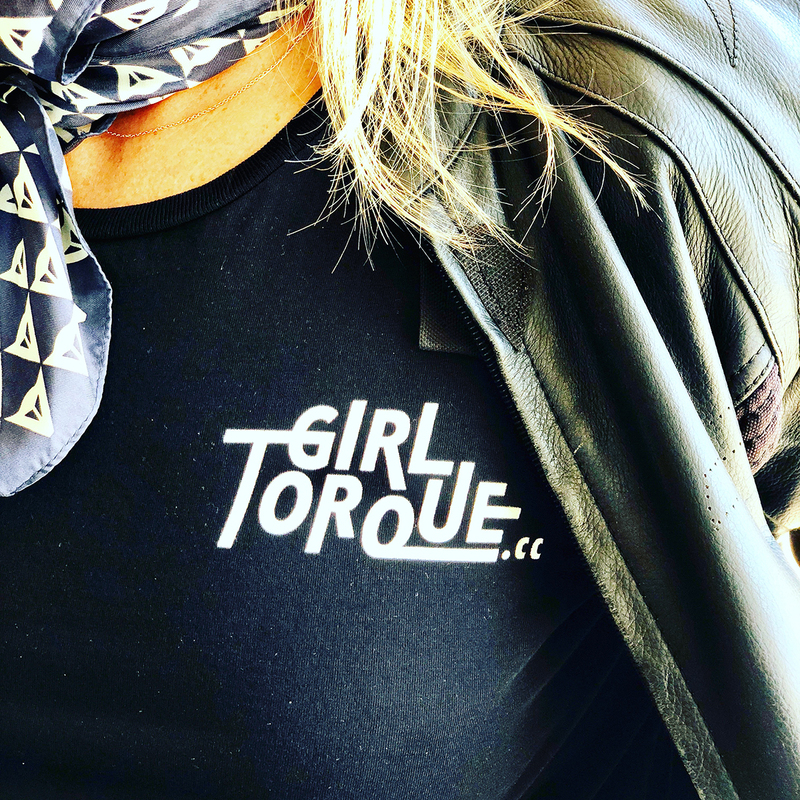 Although the business is small, Girl Torque.cc is now Australia’s first integrated motorcycle training organisation, singularly focused on women who ride. How do you help learner riders? For women who want to pursue motorcycling, they are required to complete a series of training courses and tests at selected RMS endorsed companies prior to training with Girl Torque.cc. When it comes to embarking on training out on public roads, I understand that the level of thrill, excitement and fear will be different from others. There is a lot to cover in the 2-day learners’ course with little time spent on the open road; the thought of tackling busy streets alone, paired with lack of confidence can be quite overwhelming for some taking the next step. A few of my clients literally have their new bike sitting in their garage and are too afraid to venture out on the road. I want to completely understand each student’s journey. After filling out the contact form on my website, the first thing I like to do is have a chat on the phone, to hear about their own experiences, fears and challenges. These can all be different and are extremely important in moving forward. This is followed by a short questionnaire. Breaking down the tasks in an environment that they feel safe and progressing at their pace is key to progression. The great thing about my business is that I come to my students, hence decreasing their level of anxiety from the very beginning. I will take them step-by-step and show the best way to navigate bike operation and safely navigating the roads – even the initial challenges of getting their bike out of the garage or driveway. In cases where my students don’t have a bike, I can also help sourcing their new found joy! Where do you offer your services? I am mainly teaching in the Sydney metro area. I have taught students as far north as Newcastle and in the Illawarra region. In these cases, outside the Sydney metro area I have to apply travel time. The best alternative is a group session, so the additional travel costs are reduced amongst the group. Is Girl Torque.cc exclusively for women? When you are on a mission to make motorcycle riders safe for everyone, the word “exclusivity” means to me I am excluding men. The business does specialise for women, however, if a man wanted me to teach him how to ride, assist in understanding roadcraft and manage the risks on the open road, I couldn’t say, “no” – I’d be more than happy to help out! Does Girl Torque.cc cater for individuals or are there group lessons? Yes, to both! One-on-one privates – my most popular option – provides effective results for someone who wants undivided attention. I am based in Sydney, so group lessons outside the Sydney metro area with students that are around the same skill level are the most effective. Do you offer any services for people who already have their motorcycle licence? Absolutely! I’ve started to organise monthly morning group rides where training is included for my L’s and P riders. Our route is carefully planned so everyone can experience road riding without fear of difficult bends, cambers and heavy traffic. I want the girls to enjoy the experience. It really helps when they know they are riding with riders sharing similar skill level and fears. It’s a fantastic team building experience even though we are all individuals with the same goal. Rides are always to an interesting breakfast spot where we share our stories and build a community of “Girltorquers”. I also profile women and match them to the most suitable bikes, based on their experience, shape, size and purpose and needs. 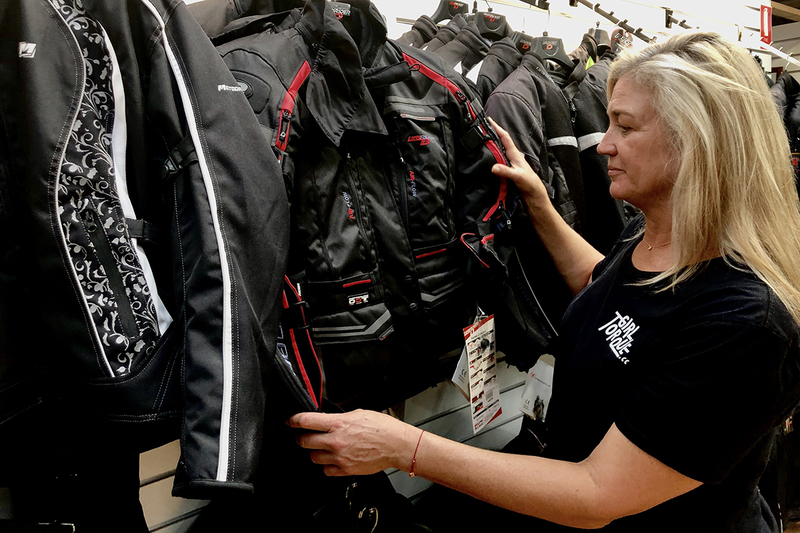 Another important aspect to riding is the right equipment and I can source and assist in the purchase of all things like apparel, gear, luggage and accessories for women riders. Yes, it’s very exciting! We have developed an App that is the quintessential must-have for all your bike riding needs. 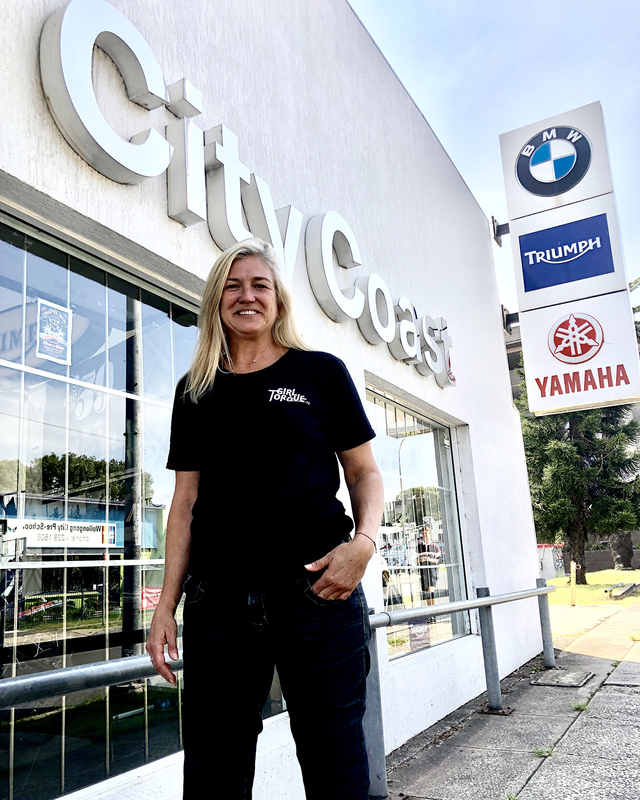 By joining up, women enjoy a range of benefits; from 20% off your first lesson to discounted apparel, gear, and equipment from selected retailers and suppliers to discounts at businesses like City Coast Motorcycles. Plus there are savings at selected cafes, bars and restaurants. Benefits are growing. It also includes privileged features to explore and provide you comfort on the road such as a unique emergency button. No need to Google, the App will get you straight to the motorbike carrier and the transport you need. Our App is free to download. Just set up and log in! The Membership fee is $9.95 per/month. Alternatively, sign up for 2 months and get 2 months free (this then reverts to monthly subscription). The App will enable you to redeem from the range of exclusive offers as a Girl Torque.cc member.